Item # 309353 Stash Points: 5,995 (?) This is the number of points you get in The Zumiez Stash for purchasing this item. Stash points are redeemable for exclusive rewards only available to Zumiez Stash members. To redeem your points check out the rewards catalog on thestash.zumiez.com. 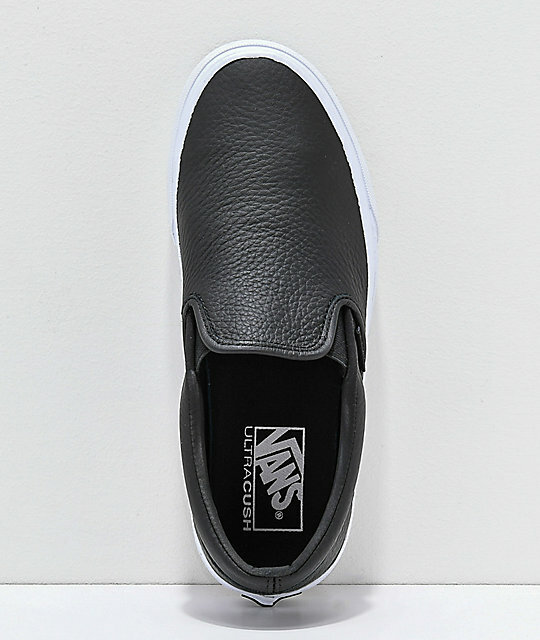 For a classic skate inspired design, pick-up the Slip-On Black Tumbled Leather Skate Shoes from Vans. 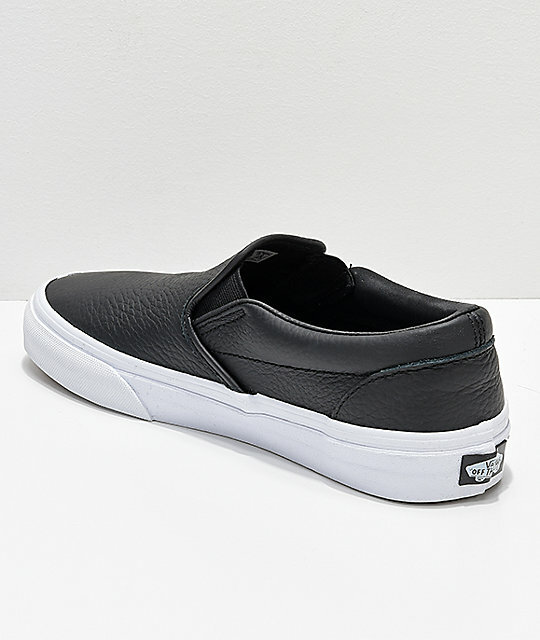 This classic silhouette comes to you with a black tumbled leather upper for a sleek and elegant design. 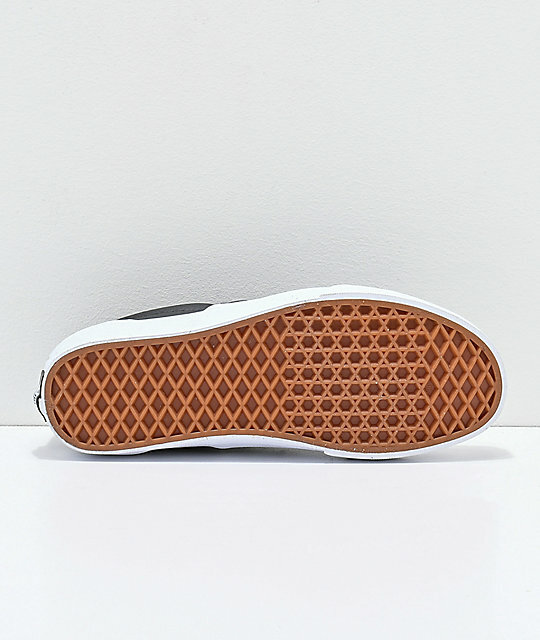 The Black Tumbled Leather Slip-Ons are finished off with Van's signature waffle tread pattern for added grip. 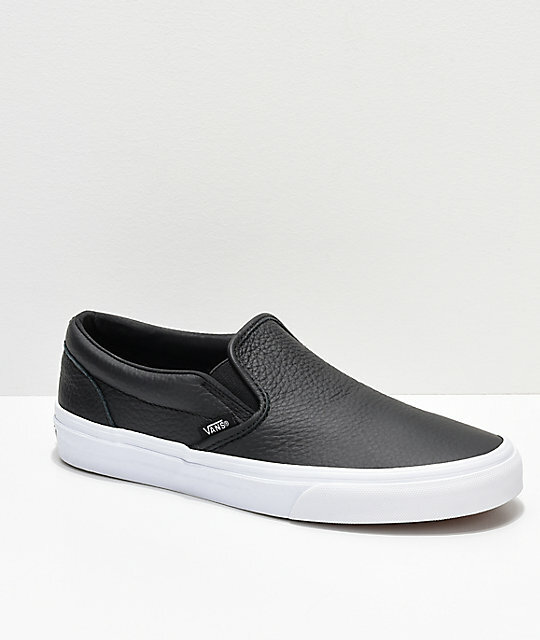 Slip-On Black Tumbled Leather Skate Shoes from Vans.